One of the joys of springtime is setting up your patio garden. Crate & Barrel is the source of the home décor you need for a fine patio garden, with items like planters, watering cans, and other fixtures freshly stocked for the season. Plants: Ivy, herbs, ferns, and flowers all look beautiful and thrive in moderate amounts of sun and shade. 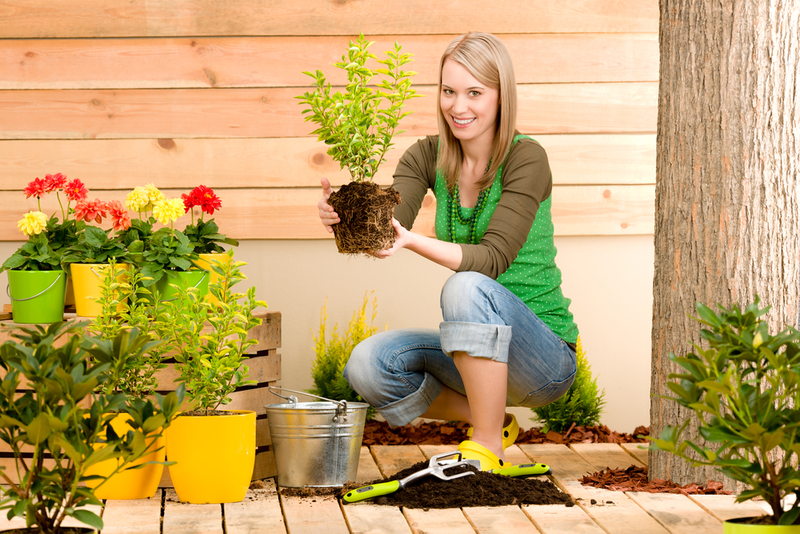 Decorations: Decorative elements like lanterns, ornaments, and colorful watering cans add some fun to your garden’s design. Pots & Planters: Your patio garden is defined by the planters you choose. Crate & Barrel has a variety of them in unique shapes, stylish colors, and varying sizes. Fixtures: Whether you need plant stands, hangers and wall hooks, storage containers, or work stations, you can find it at your local Crate & Barrel. Browse sophisticated pottery and fixtures that will spark your green thumb—head to the Crate & Barrel near you or visit the home décor store online.